Some early reviews for the Samsung Galaxy S5 are now arriving. 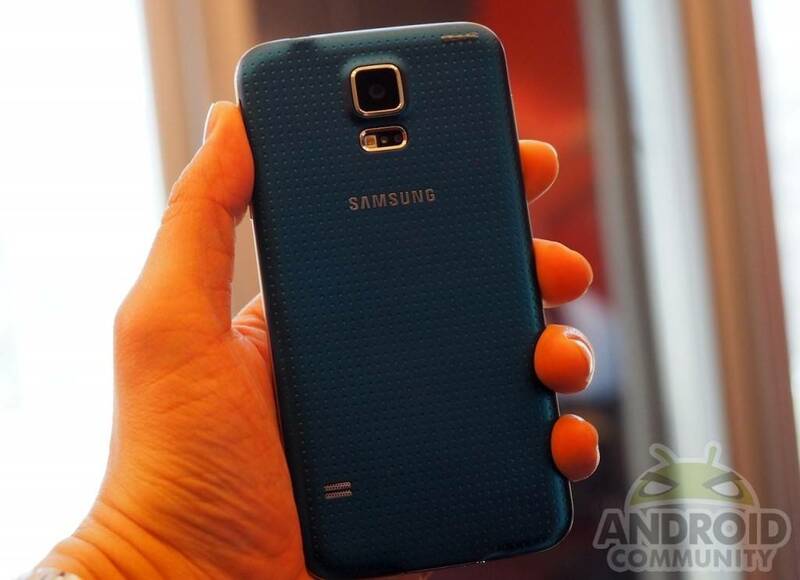 Samsung announced the Galaxy S5 along with the Gear 2, Gear 2 Neo and Gear Fit back in March. We managed to spend a bit of hands-on time with the smartphone and those wearables during Mobile World Congress and look forward to getting some more time for a full review. Pre-orders have already been available with several US carriers and the handset should be available for purchase soon enough. In the meantime, we are looking towards these early reviews to get a better idea of how the Galaxy S5 stands up with some actual real-world use. First things first though -- a quick recap of the specs. 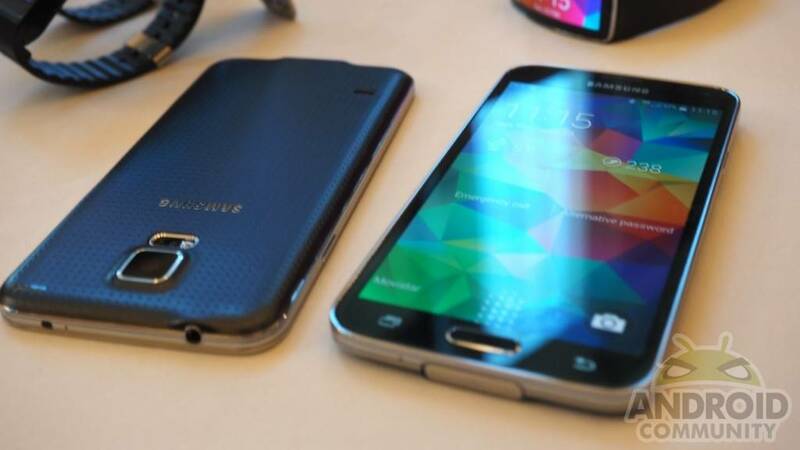 The Galaxy S5 will launch with Android 4.4.2 Kit Kat. Otherwise, what we are seeing in terms of hardware seems to be a nice step up from the Galaxy S4. Features of the Galaxy S5 begin with a 5.1-inch Super AMOLED display at 1920 x 1080 (432 ppi). Users can also expect to find 16GB of internal storage, 2GB of RAM, a 2800 mAh battery, 2MP front-facing camera and 16MP rear-facing camera. A few other highlights include a fingerprint scanner, heart rate monitor, S Health and an IP67 certification which means the handset is resistant to dust and water. Putting the specs to the side, today we are taking a look at reviews from USA Today, Time, The Wall Street Journal, Stuff, and AnandTech. Naturally, there was plenty of comparison to the Galaxy S4. But having said that, not everyone felt it was a must-have upgrade for current GS4 users. The folks at AnandTech called it a "solid replacement" for the Galaxy S4. Some of the other highlights from that review touched on how the camera performs well outdoors with decent light and how Samsung did an "excellent job of cleaning up the UI." One of the highlight features doesn't seem to have lived up to the possibilities though. Time called the fingerprint reader "clunky" and USA Today had enough issues that they requested a second review unit. It seems USA Today was initially seeing a success rate of "no better than 30%" with the first unit. They mentioned the fingerprint scanner "doesn't work as well" as compared to the iPhone 5S, but to be fair, did say the success rate with the replacement review unit was "a whole lot better." The Wall Street Journal review dove right in by testing the IP67 rating. In that review you'll see proof of the handset being splashed by coffee, and also mention of it having survived everything from a dunking in a margarita, to a plunge in a toilet and overnight stay in Jell-O. As for Stuff, they said Samsung fans "have no reason to be disappointed." But also touched on how the HTC One (M8) is a "little bit slicker, more stylish and joyful to live with." Bottom line here, none of these reviews seem to be overly bad, but none seem to be pushing the Galaxy S5 as a clear winner either. Either way, you can see our initial Galaxy S5 hands-on (from Mobile World Congress) sitting below, and those considering a purchase will likely benefit by setting aside some time to read each of these reviews. Links for the reviews mentioned are as follows; USA Today, Time, The Wall Street Journal, Stuff, AnandTech.